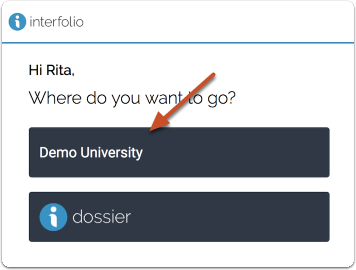 Institutional Administrators can create, reorder, update and delete a set of color-coded statuses to be used by an institution. 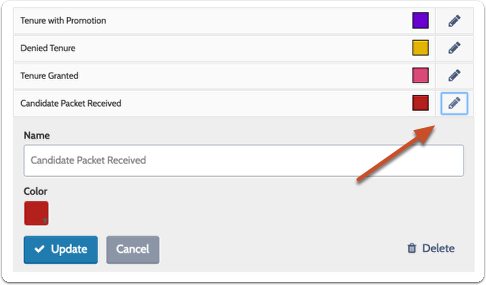 Statuses are created and managed from the Administration Settings page. Statuses can only be set at the highest level of an institutional hierarchy and once created they can be applied to any case created by the institution or any of its lower units (schools, departments, etc.). 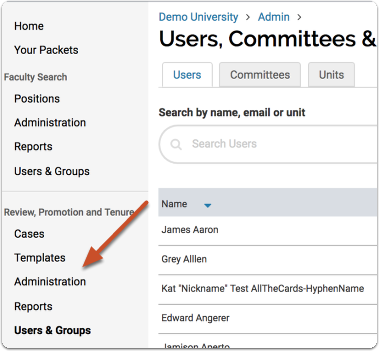 Administrators and Committee Managers can apply and remove these statuses on the individual case page of a candidate. 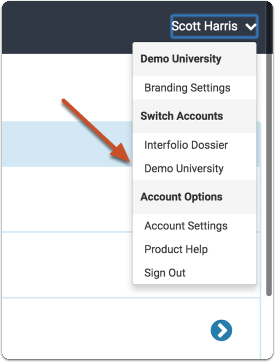 Note that statuses can also be created at a case level and applied to a particular case by Committee Managers or Administrators, but such statuses are only available for the case for which they are created, and are not available across an institution. If someone has already added statuses to the program, they will appear here. If no statuses have been created you will see a message to that effect. 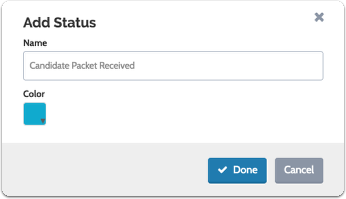 In any case, you will need to click "Add Status" to add a new one. 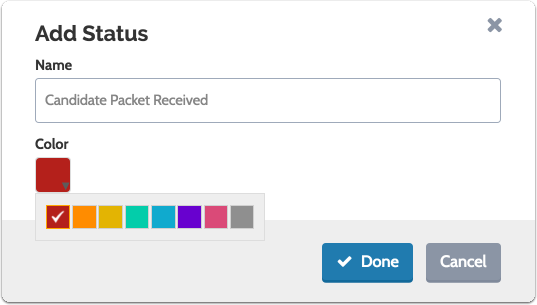 Select the color you want to associate with the status and click "Done"
The order you set here will show up in the dropdown list of statuses when a user goes to apply a status to a case. 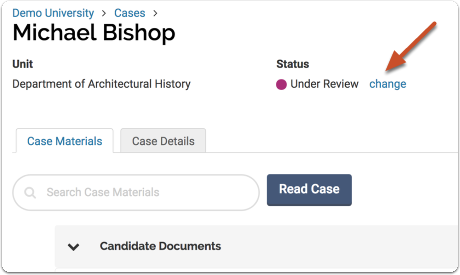 Administrators or Committee Managers can apply these statuses to the case page of a candidate. 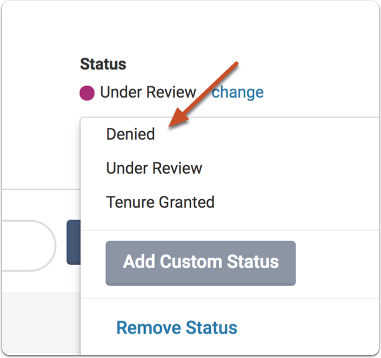 Note that if a status has already been applied to a case, the current status will appear.